While the bronze doors of Florence's Baptistry get the attention from art historians, it's the mosaics inside that wow most visitors. Step into the cool dimness and look up. A gigantic Jesus passes judgement, while stories from the Old and New Testaments play out in rows. 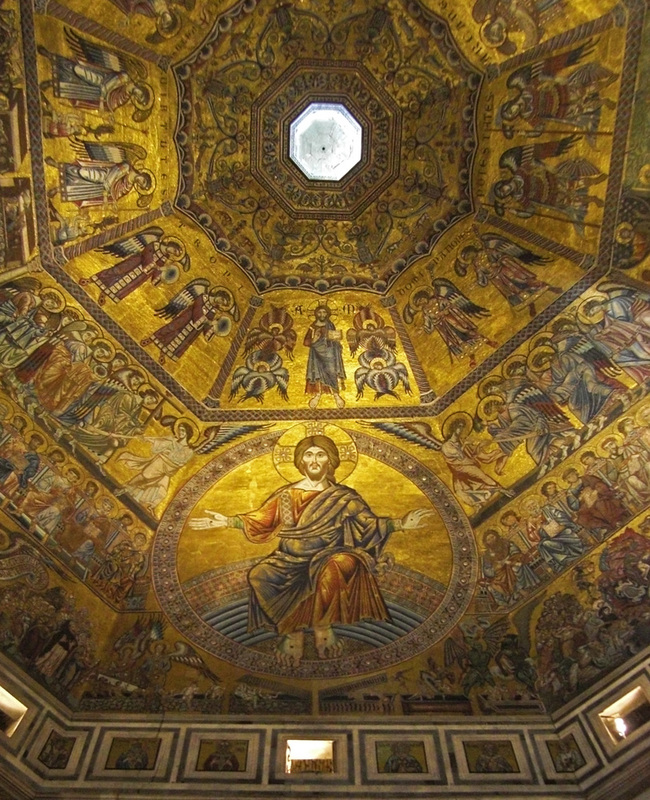 Starting in the 13th century, a hundred years' worth of lifetimes passed while unknown numbers of craftsmen worked on the ground and then up inside the dome to create this glittering masterpiece. In our present-day world of color and distraction it's rare to find something truly glorious and awe inspiring. This still holds all of its power and glory.